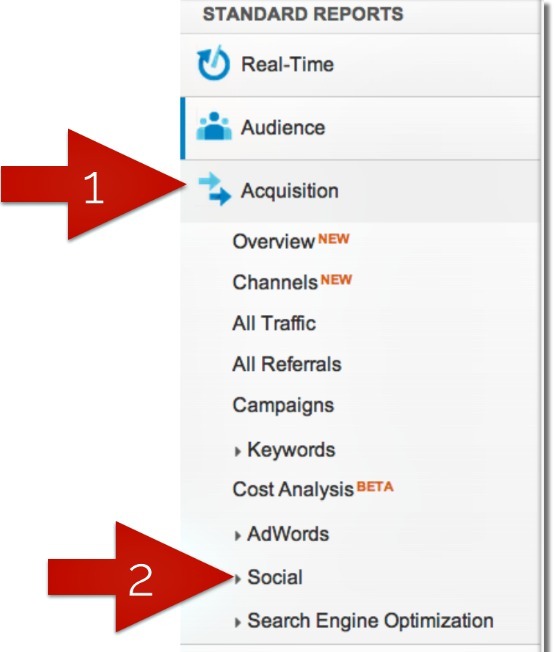 Hashtags isn’t just for sites like Twitter, Facebook, Instagram and GooglePlus. If you want to get more attention and build your Pinterest followers use hashtags that are the most important to your business and consistently add those to your pin descriptions. 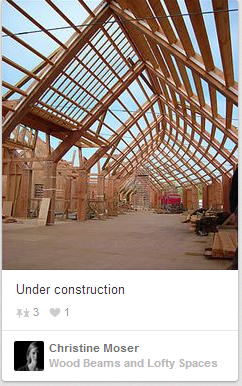 1) To help pinners interested in niche topics or interests find each other and find the conversation. By including a hashtag in your pin, you can possibly get in front of people who may not have seen your post otherwise. 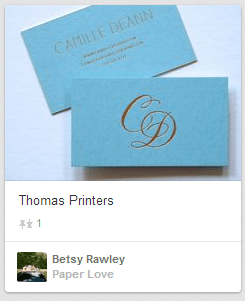 2) Branding your Pinterest page with your own special hashtag can help an idea or new product catch on. Here’s an example of a new product launch that michael kors created #MKTIMELESS. So when michael kors tracks pinners that are using this trending hashtag they can easily do that by going to the Pinterest search engine and they’ll see the pinners who are interested in this product and the next step for them to engage with those pinners. 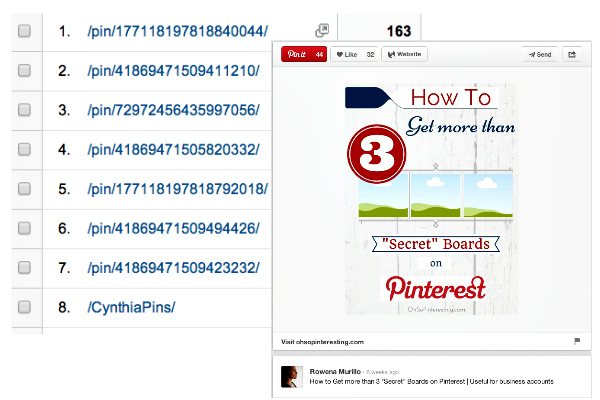 3) You can tweet your pins from Pinterest so adding hashtags on your pin descriptions will save you time tweeting. 4) You can use a hashtag in your pin description to promote a coupon, deal, promotions, special offers, event or contest. Here’s an example from “Jewelry for a Cause” contest using the hashtags #pintowin and #jumpforjune. 1. If the word is more than one word make it easy for pinners to read by capitalizing the first letter of each word. For example instead of #ballroomdress you would type #BallRoomDress. Do your best to keep it short. 2. Don’t use more than 3 hashtags in your pin descriptions because it looks spammy and pinners will lose track of what you’re saying. 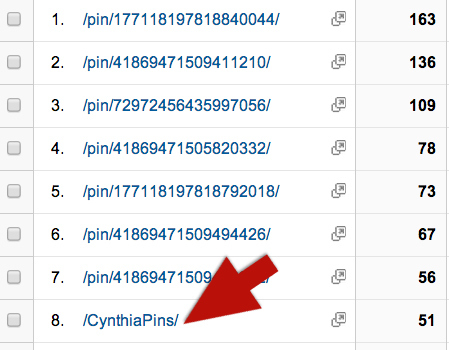 This is a turn off which will see them quickly skipping your pin for a less cluttered pin description. 3. Do you best to include the hashtag in a sentence to avoid your pin descriptions looking messy. 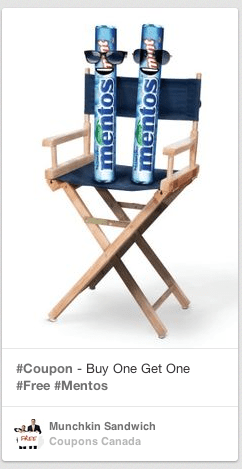 Menthos could improve their pin description by editing their description to “Click here to get your #Menthos Buy 1 get 1 free #FreeCoupon”and then add the website link to get the coupon. Just like any marketing effort, you need to use all of the tools at your disposal to spread the word about your brand and hashtags are a good tool to use. Use them whenever relevant, put them on your website, and include them in your company’s promotional materials. 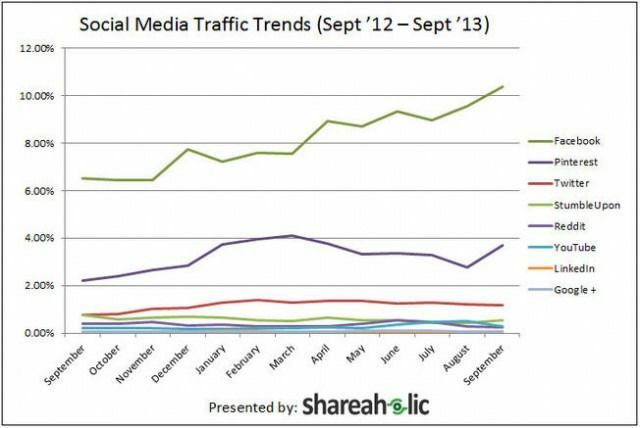 Facebook accounted for more than 10% of overall traffic to publishers in September, by far the most of any social network, according to data released Tuesday from Shareaholic, a social plugin service that collects data from 200,000 publishers reaching 250 million monthly unique visitors collectively. Pinterest drove 3.68% of traffic to publishers in September, the second highest of the social networks on the list and three times as much as Twitter, which ranked third. In fact, Pinterest’s share of overall visits increased by 66% year-over-year, more than any other social network. 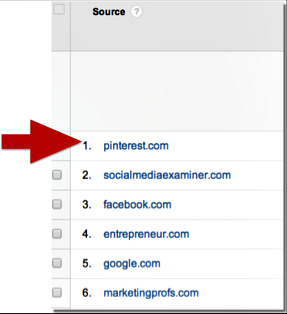 Pinterest now drives more traffic to publishers than Twitter, LinkedIn, Reddit and Google+ combined. While most of the social networks tracked in the study showed significant year-over-year gains in referring traffic to publishers, referral traffic from Reddit and StumbleUpon declined 35% and 27.5%, respectively. Google+ remained essentially stagnant year-over-year and continues to refer the least traffic to publishers of the major social networks included in the study. Pinterest’s recent acquisition of Punchfork has largely been misinterpreted by the industry and onlookers as merely a content-centric acquisition. While Punchfork’s database of recipes certainly will have value for Pinterest, in reality there is a Trojan horse in this acquisition that was the real focus of Pinterest’s move: the technology that powers Punchfork. Combining the power of a search engine indexing content, the popularity of content based on how often that content was shared on social networks, and an intelligent display of metadata to enhance the search results, Punchfork had a powerful engine under its hood. 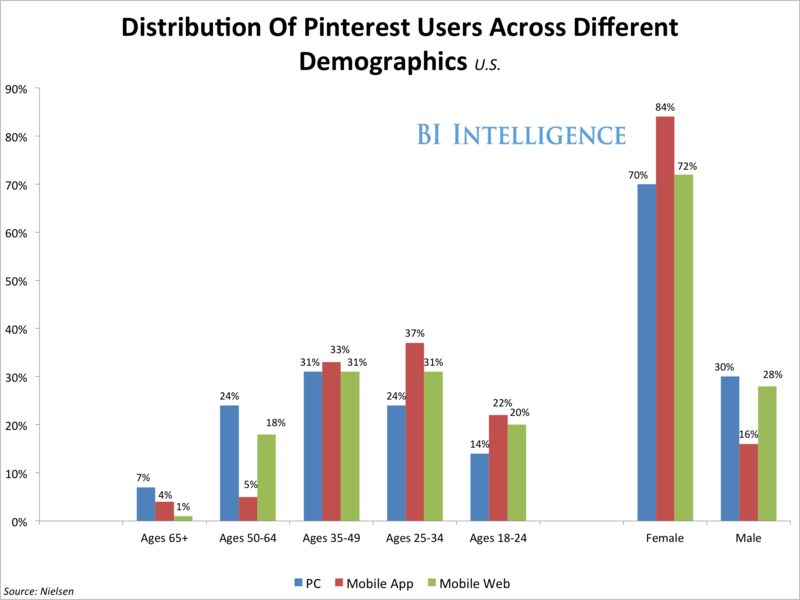 And so with Pinterest scooping it up, the move can be seen as a marked shift from a user-generated content approach to one that leverages search technology to discover, index, and present content to its user base. Punchfork’s founder, Jeff Miller, leveraged his technical skills as a quant trader to index recipes from across the internet and mash up this information with social signals from social networks (Twitter, Facebook, Stumbleupon and Pinterest) to develop a popularity score. These popularity scores assist consumers in discovering the best recipes for a given type of food or particular diet. Miller also developed a robust API that was Punchfork’s sole source of revenue (aside from some tests with advertisements on the site). Punchfork’s API was available across multiple tiers, from a low-volume free tier to a $995-a-month tier. So as observers have pointed out, Pinterest and Punchfork were certainly an obvious match due to their similarities: a grid-based aesthetic with visually inspiring photos and content, and recipes are one of the most popular types of content on Pinterest already. 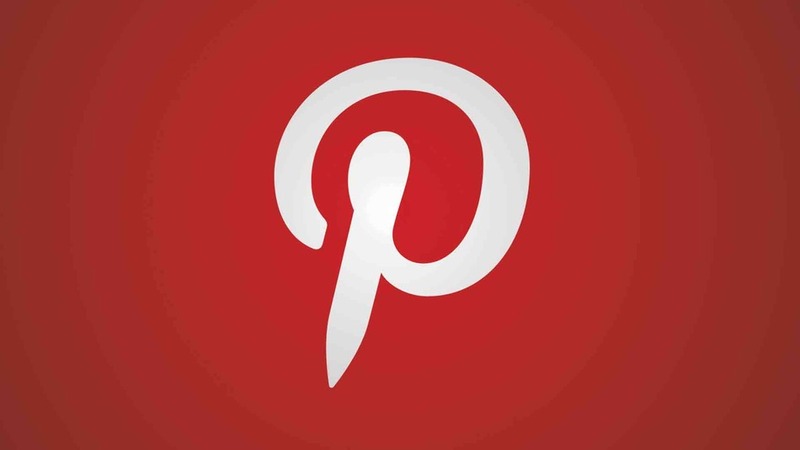 But long term, the key value for Pinterest is Punchfork’s robust and well-documented API. The divide between content and commerce is closing. Pinterest is certainly at the forefront of helping consumers discover products and content of interest, but currently consumers can’t make a one-click purchase of all that merchandise they’ve painstakingly collected and pinned. This poses a problem for Pinterest – and an opportunity for Google, Amazon, and Facebook to take a greater portion of the ecommerce market share. Pinterest has a wealth of products within its database that could be leveraged by publishers to monetize traffic and provide a source of revenue for Pinterest. This offering would combine the interest of brands with a wealth of products already pinned within Pinterest, and sites that want to monetize their content and traffic. 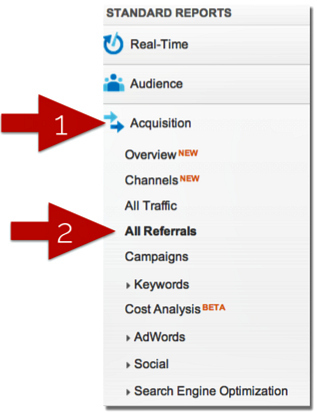 Pinterest could easily create an offering where merchants log into Pinterest, determine how many of their products are already pinned within Pinterest to entice them into a PPC, CPM, or CPA advertising offering. Pinterest has largely focused on growing its user base and, aside from user backlash around its use of Skimlinks, it hasn’t yet revealed a revenue model. It seems inevitable, though, that Pinterest will have to develop a revenue stream(s) from sponsored pins and/or sponsored profiles, along with recommended pins and profiles in either a CPA, CPC, or CPM format. These would mirror successful offerings from other social networks such as Facebook and Twitter, and make it easier for brands and agencies to incorporate it into a respective media buy. Numerous startups are attempting to leverage image recognition for monetization, ranging from GumGum applying advertising to relevant imagery, to Stipple attempting to be the image genome. In the context of Pinterest, users often upload a photo saved from a website or a camera and neglect to link that product to the manufacturer or store where the item can be purchased. But if Pinterest were to incorporate a form of image recognition, the company could attempt to associate images of products without a source to sites that sell that particular product. For example if I uploaded a photo from my camera depicting a tie from Everlane and didn’t link back to everlane.com; Pinterest may be able to automate identification of that tie via image recognition. Currently pins offer very little information to Pinterest users with the exception of anything contributed directly by the user that pinned the image. Pinterest could enhance the product information that is associated with particular images by incorporating data such as pricing, availability, and product specifications. Pinterest started to address the pricing aspect in an archaic fashion by automatically capturing information when pinned from sites such as etsy; however the future may lend itself to message-based protocol where products are matched to retailers via an API. This bi-directional API could enable larger retailers and smaller retailers to provide timely updates to prices, promotions, and availability. For example if I came across a new line of nail polish from Sephora pinned on Pinterest, I would be able to see availability, up to date pricing information, and any discounts that could be applied to a potential purchase.